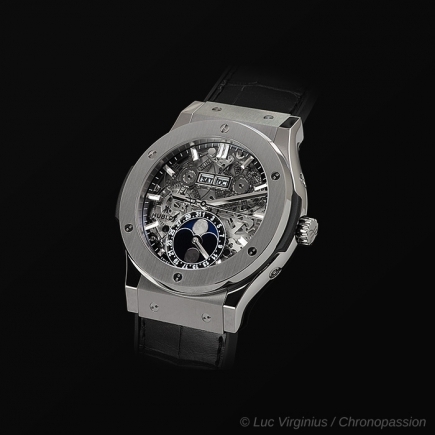 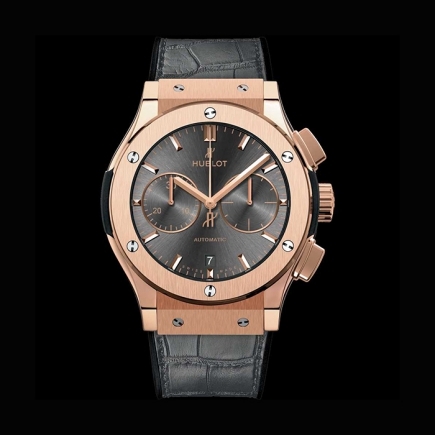 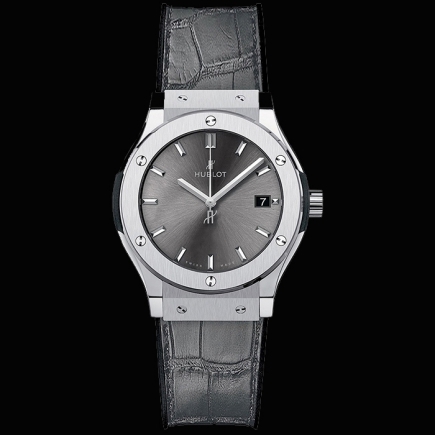 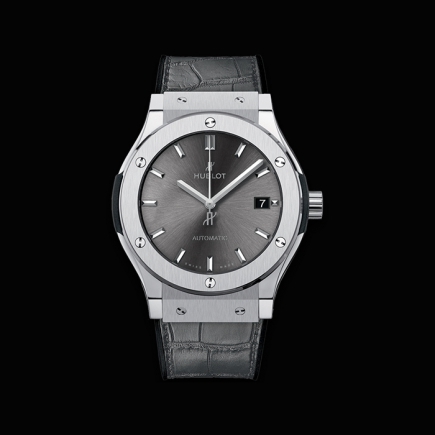 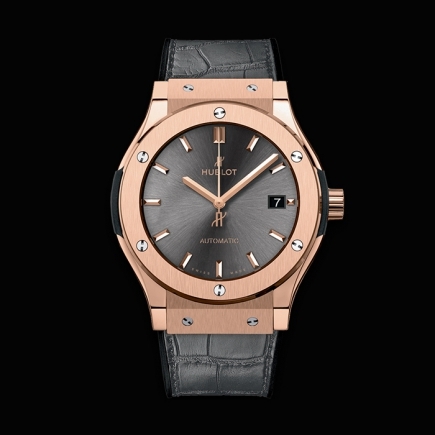 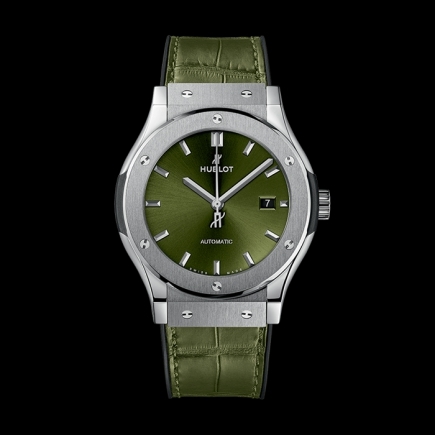 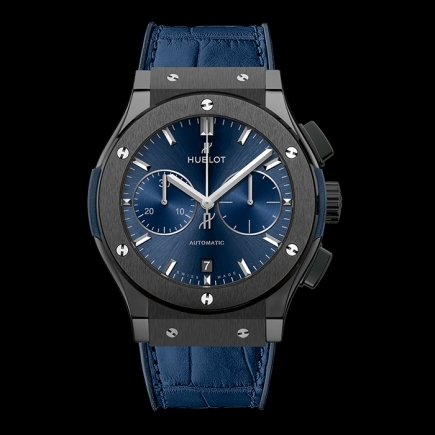 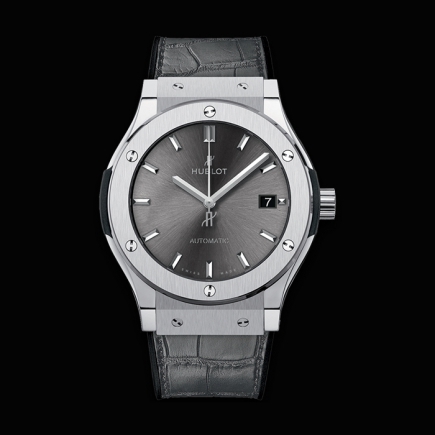 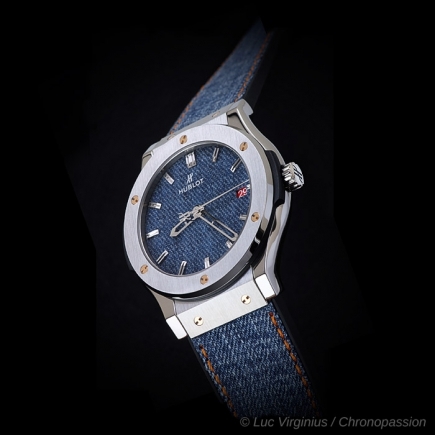 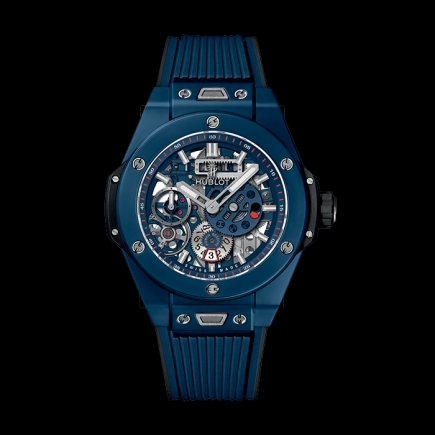 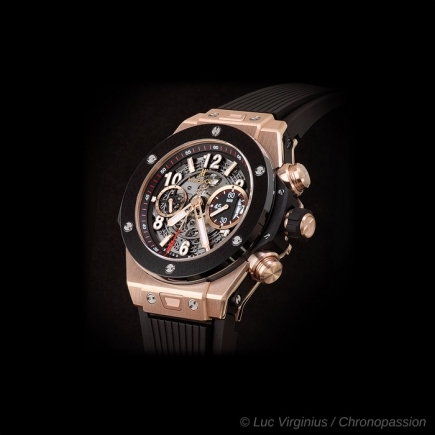 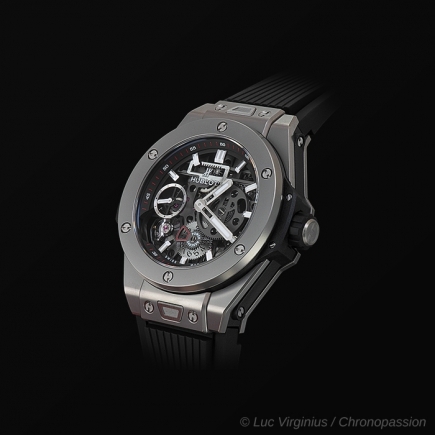 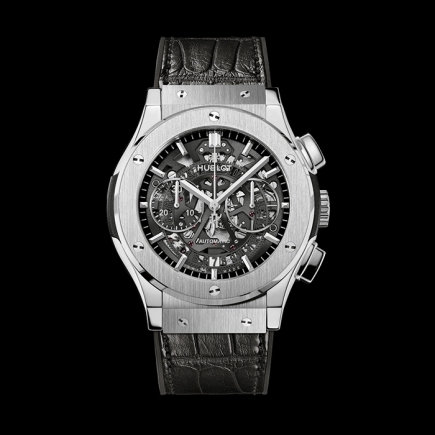 hublot | 174'700 € Tax inc. 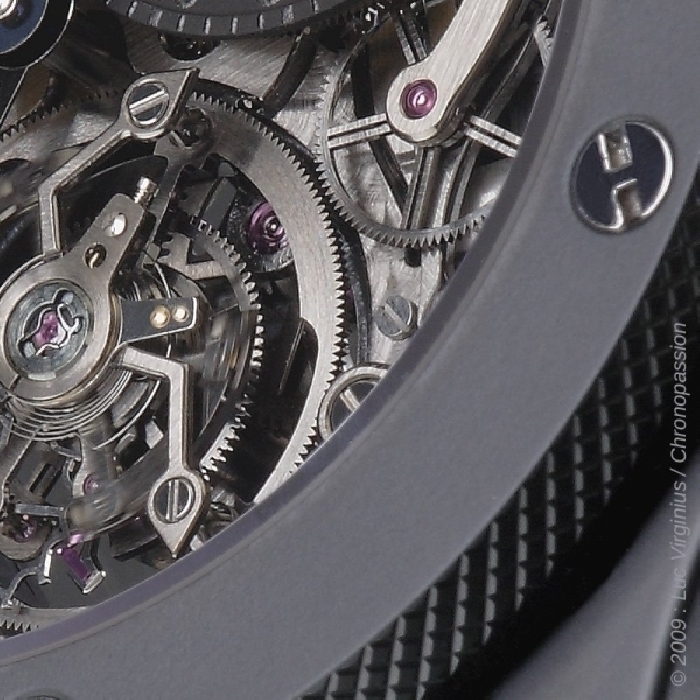 The “Bigger Bang” is the first Tourbillon Column-Wheel Chronograph with direct coupling on a flying tourbillon cage, the latest brainchild to emerge from the master watchmakers’ workshop at Hublot. 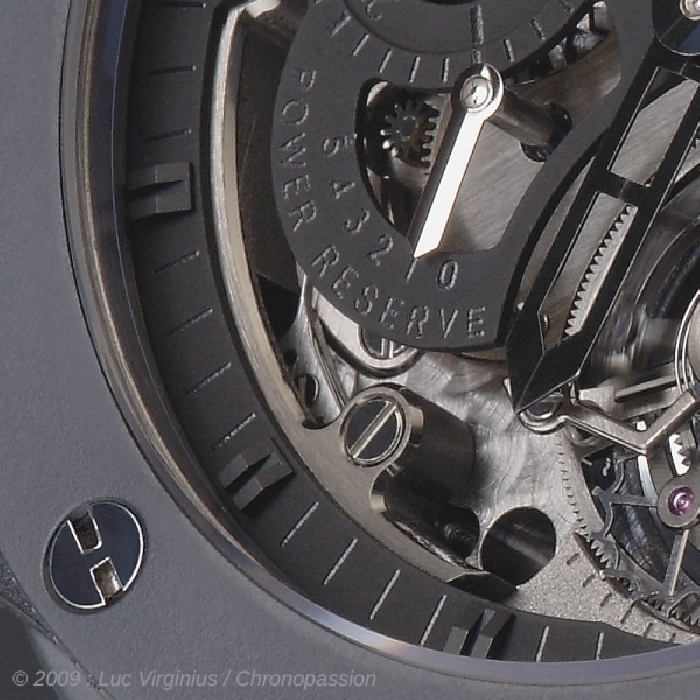 The chronograph mechanism and column-wheel are for the first time directly visible via the dial at 12.00 o’clock. 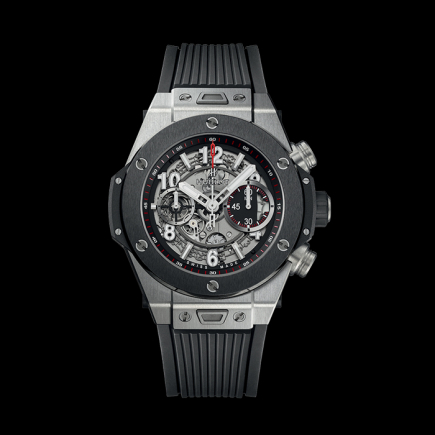 The wearer can admire the fine execution of each component, observe the chronograph being activated by pressing the first push-piece, and see the operation of the column-wheel mechanism, the heart that beats at the centre of the system. 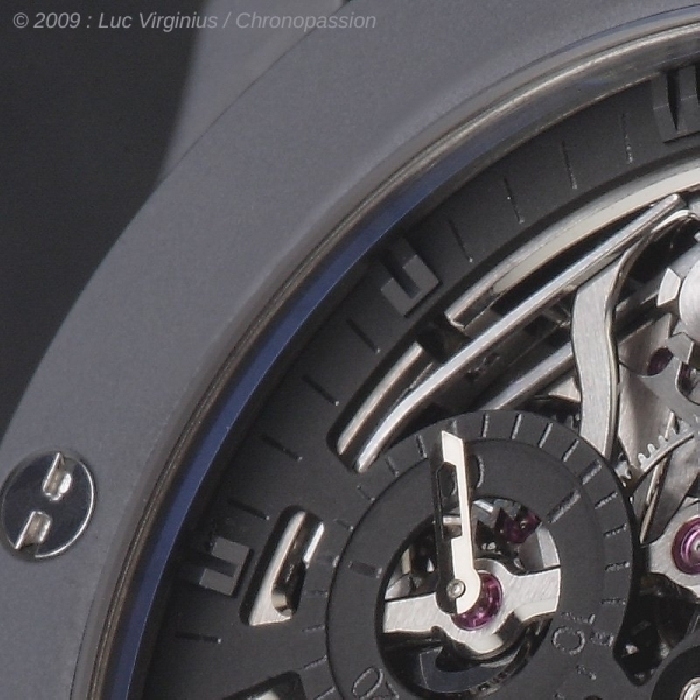 Using the same push-piece to reset to zero causes the mechanism to stop, due to the rotary movement of the coupling wheel engaging with the Tourbillon system. 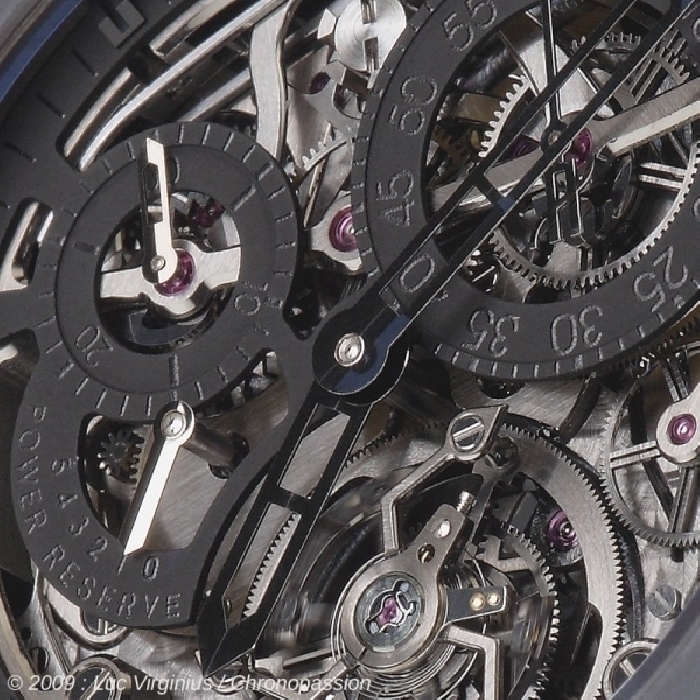 The remarkable construction of the “Bigger Bang”, aside from the dial-side Column-Wheel Chronograph, also features a Flying Tourbillon measuring 13 ¼ lines (diameter 30 mm) housed in a 13mm diameter cage without ball bearings and raised 2.80 mm above the base of the bottom plate. 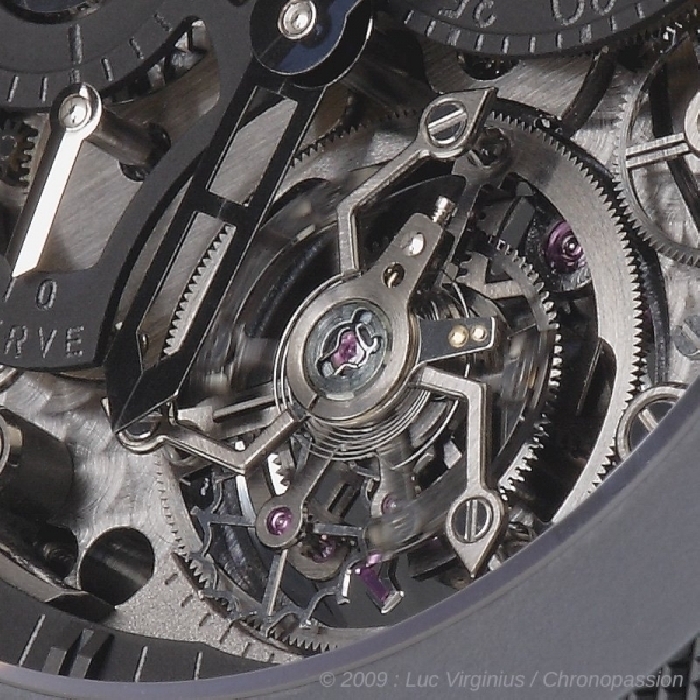 This amazing feat of watchmaking engineering comprising 262 components, assembled, adjusted and regulated with the utmost precision, creates the impression of a tourbillon suspended in mid-air, hence the term ‘Flying’, thereby enabling it to be admired from every angle. 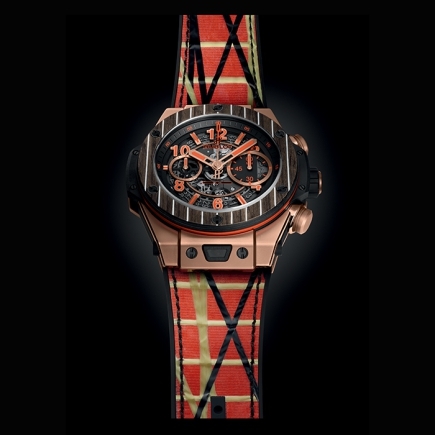 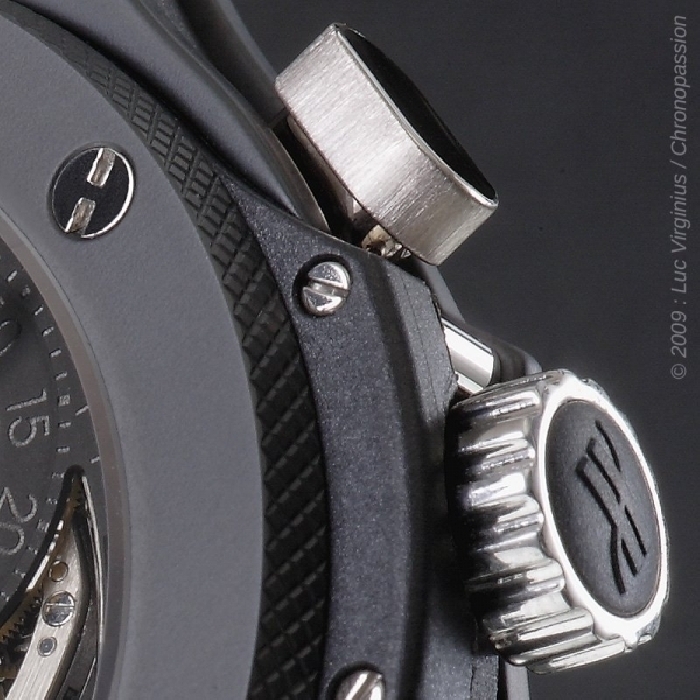 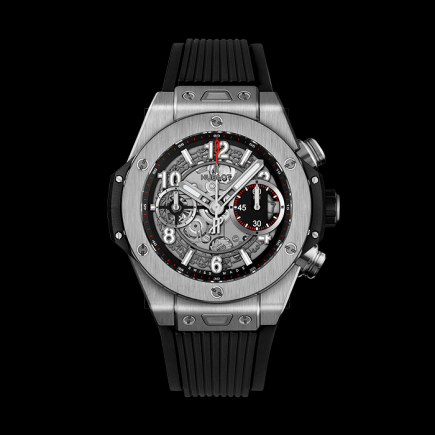 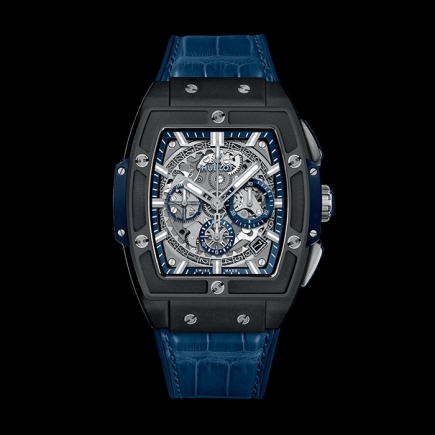 It also comprises a Gyromax type balance and offers a power reserve of 5 days. 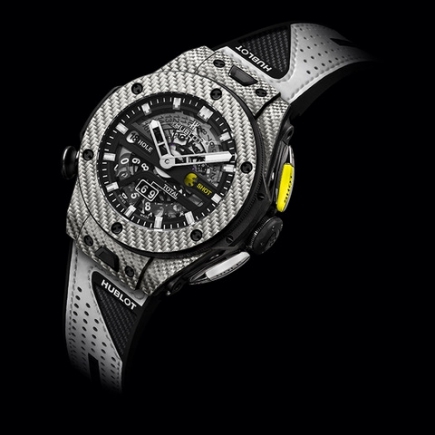 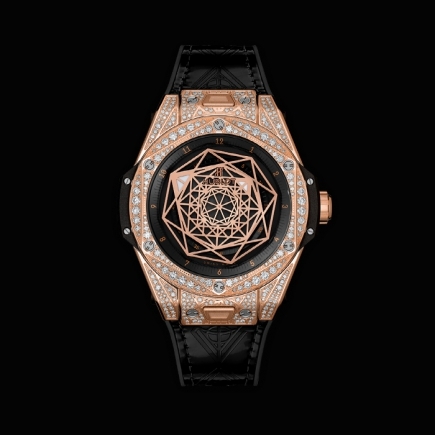 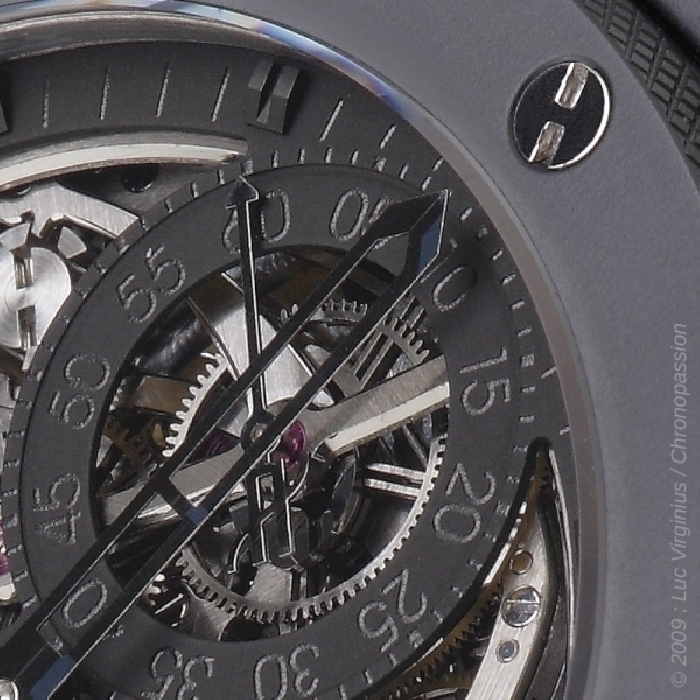 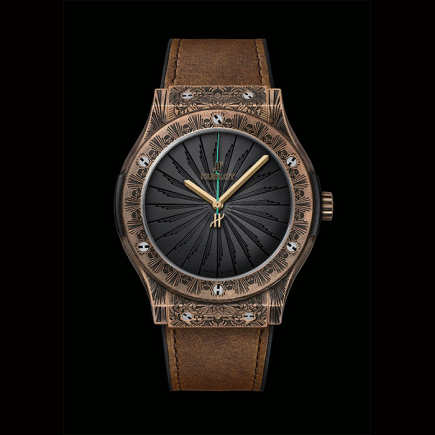 It is fitted with 33 rubies, a circular-grained right bottom plate decorated in black gold, topped by some extremely unique bridgework, echoing the two-wheel gear in shape, and a black skeleton dial. 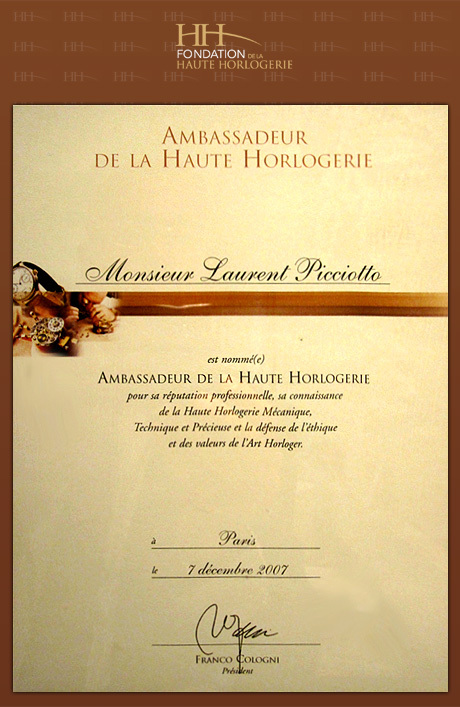 Limited edition of 50 pieces.